Electric biking has got lots of people back into cycling in recent years due to its appeal to a wider and more diverse demographic. The addition of the electric motor means riders can adjust the amount of effort they put in which makes uphill climbs and long distances a breeze. For commuters, electric bikes are ideal as they are a lot more cost-effective and eco-friendly than running a car or using public transport, and don’t leave riders in a sweaty mess when they get to work as a conventional model tends to do. At Axcess Electric Bikes, we want to ensure everyone finds the right electric bike for them, whether they need an electric road bike, electric mountain bike, or even a folding electric bike for the commute. We are proud of our wide range of models and are sure we have the right fit for you. 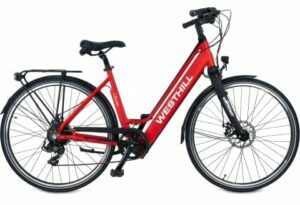 When it comes to choosing your electric bike, you need to consider a variety of things, including the appearance, comfort and functionality for your individual requirements. Of course, that also includes the type of motor, something you don’t normally associate with when purchasing a normal push bike. The position and type of your e-bike motor can have a significant impact on your riding experience and can completely change the look and feel of the bike itself. For example, the overall riding experience for front wheel hub motors will not be as safe as an alternative motor due to the weight distribution issues they can create. Rear wheel hub drive motors are an excellent choice. They provide stability, the desired power and a safe riding experience, all for a great price. These motors run on a rotation sensor, which means that as long as the pedals are turning, the motor is on. These bikes do not rely on weight on the pedals which means that these models are a lot more accessible to a wider market. Crank drive motors are another option. These models feature the motor in the centre of the frame and are a lot more expensive than rear wheel drive models. Crank drives also run on a torque sensor which means that the motor will only be running when there is pressure on the pedals. This can be less suitable for those with less power in their legs and therefore is not a great all-rounder. These motors run smoothly and silently and the direct power distribution also makes the bikes easier to handle, improving the safety of the rider massively. Between the rider, the battery and the motor, electric bikes end up taking a heavy load. By opting for a rear wheel hub motor with a centrally-located battery, the weight gets distributed more evenly, making them a lot more balanced and a safer ride generally. As a result of the better weight distribution, the traction is a lot better with these bicycles than a front wheel drive. 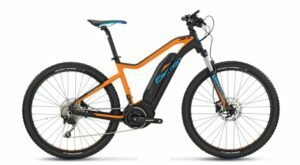 This is particularly important for those looking for an electric mountain bike as they are more likely to be going off-road when the ground is less firm and therefore requires a better grip. As mentioned, the rotation sensor on a rear wheel drive means that the motor is on as long as the pedals are turning, so the bike will do all the work! Unlike the crank drive models that run on a torque sensor, rear wheel drives do not rely on any weight on the pedals to get the motor running which makes them ideal for a larger number of people, including more elderly riders. As there are fewer elements of your electric bike involved when using a rear wheel hub motor, there is no drive wear to the bike chain. This means that you can go further on less battery and that the maintenance required is little to none. Axcess Electric Bikes have plenty of rear wheel drive electric bikes available – something to suit everyone. So whether you’re looking for speed, durability or looks, we’re bound to have the thing for you in our Honiton shop. Take a look through our website and get in touch if you have any questions or are interested in any of our models.